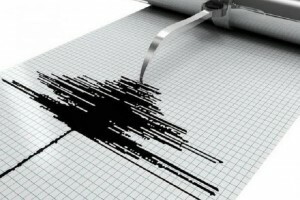 ST JOHN’S – Following a series of earthquakes felt in Antigua and Barbuda, and as far away as St Kitts and Guadeloupe, the University of the West Indies’ Seismic Research Centre (SRC) is urging the people of the region to remain prepared. Around 1:23 a.m. on Monday, the SRC recorded an earthquake located north-east of Antigua/south-east of Barbuda with a preliminary magnitude of 5.8. This is the second earthquake that has occurred in the magnitude range 5.6-6.0, since 2011. The SRC said it received more than 120 felt reports from as far west as St Kitts and as far south as Guadeloupe for that event. “This earthquake has been followed, so far, by more than 500 events in the same general area, two of which were in the magnitude range 5.1-5.5,” the SRC said, adding that its scientists expect that aftershocks should continue for some time. “Although this most recent earthquake sequence may not necessarily signal a larger earthquake, the public should be reminded that the Leeward Islands region is an area of high earthquake activity for the Caribbean. “Moderate to significant sized earthquakes may occur in this region at any time which may impact islands in this area (St Kitts and Nevis, Antigua and Barbuda, Montserrat). For this reason measures must always be in place at an individual, community and national level to protect against the impact of earthquakes,” it added.